The answer is 'Zardoz,' of course. A new movie search site, called whatismymovie.com, can’t go quite that far. But if you can describe the movie—“find movies with Harrison Ford on airplanes,” for example—it does indeed turn up Air Force One. The site is the showcase for a new platform technology that a Finnish developer, Valossa, is pitching to service and content providers: by integrating their content with the new Val.ai platform, Valossa believes that film studios can surface more of that content so that consumers can rent or stream it. The value proposition for consumers is that it makes movies easier to find. 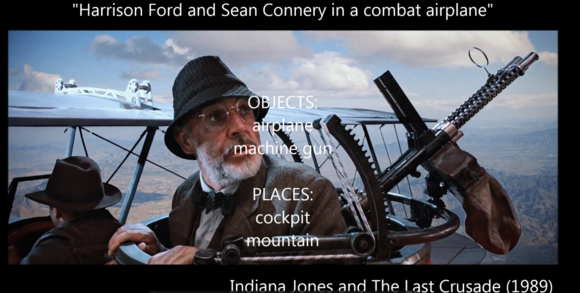 Valossa, claims to page through a given movie on a scene-by-scene basis, identifying more than one thousand concepts (places, objects, and themes) from any video stream. The technology allows you to search using natural-language queries, and there’s even a beta version of the technology that allows voice searches using the Alexa digital assistant in Amazon's Echo connected speaker. 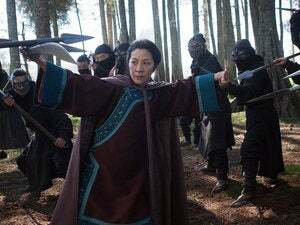 There are also some rudimentary links to where you can purchase the movie in question online, a very basic solution for cord-cutters. Whatismymovie turns up a rather electic group of search results. First, my search results. I’m pleased to see that my initial query does turn up Air Force One, along with some other results that came as a complete surprise: Oh yeah, Harrison Ford was in Apocalypse Now (but does he ride in a plane?). And I know that Ford does a turn as a were-hyena (don’t ask) in Anchorman 2, but I’m not sure he rides in a plane in that one, either. The search Valossa supplied is also problematic. 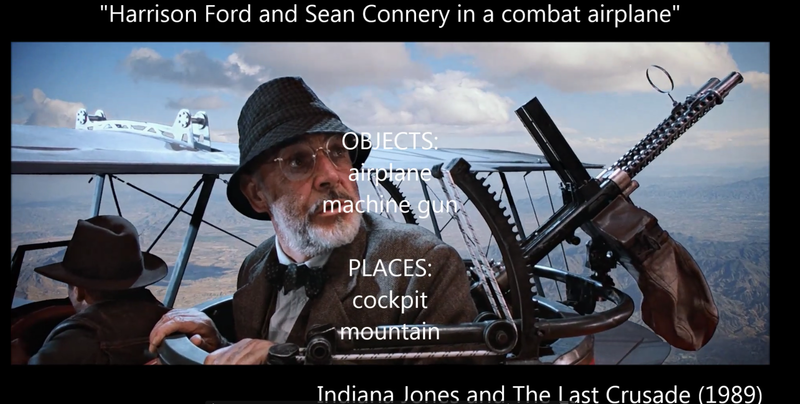 As you can see from the screenshot below, taken from a demo movie that accompanied the launch of the site, Harrison Ford and Sean Connery clearly occupy the front and rear seats of the plane being attacked by a German soldier. And, as you might expect, Indiana Jones and the Last Crusade shows up as the first result. Hey, isn’t that Harrison Ford flying the plane in this scene? Why doesn’t whatismymovie.com recognize him? 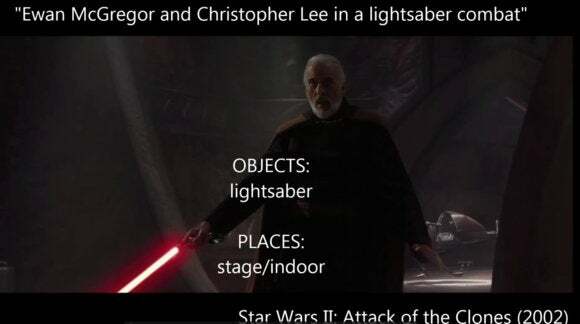 So why doesn't Last Crusade show up in my search results, as well? I encountered some other clunkers, too—no, the Sidney Poitier classic Guess Who’s Coming to Dinner is not a “comedy in Hawaii.” On balance, though, I think you’ll find that the site generally scratches that itch that would cause you to visit in the first place: What was the name of that movie?